Since many of the California producers in the North Bay use Rancho for cattle harvest this repost of an article by Rita Jane Gabbett from the Meating Place is timely. "Rancho Feeding Corp., based in Petaluma, Calif., is recalling about 41,683 pounds of various meat products because they were produced without the benefit of full federal inspection, USDA’s Food Safety and Inspection Service said. Beef carcasses and boxes bear the establishment number "EST. 527" inside the USDA mark of inspection. Each box bears the case code number “ON9O4.” The products were produced Jan. 8, 2014, and shipped to distribution centers and retail establishments in California. The problem was discovered as a result of an ongoing investigation. FSIS believes the company produced product without full ante-mortem inspection as per federal regulations. FSIS has received no reports of illness due to consumption of these products." This is a repost of an article that appeared in the North American Meat Association's newsletter Lean Trimmings. I think livestock producers and consumers will find the site useful and that's why I'm reposting it here. Today, NAMA is pleased to announce a new website for meat industry regulatory guidance at www.meatexperts.com. 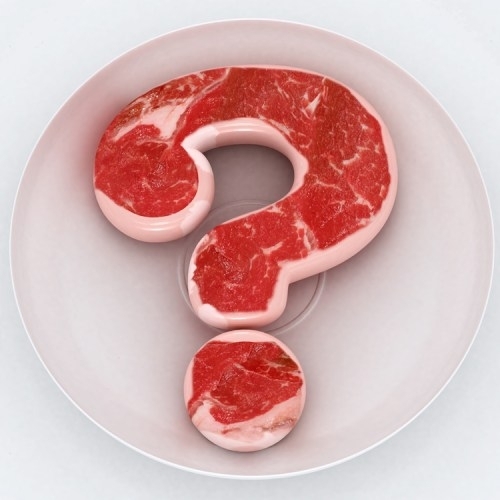 The new NAMA Meat Experts is a site for meat company managers and others to get answers to meat regulation related questions. The site invites visitor participation via ‘Ask the Experts’ inquiries and provides a forum for ongoing discussion on each inquiry. The goal is to build a knowledgebase about meat inspection, food safety and industry regulatory oversight based on incoming questions and the staff’s expertise. An app for iPhone and Android with which visitors will be able to access the knowledgebase at NAMA Meat Experts, and also to send in new inquiries directly from their smart phones, will be released later this spring. "Many groups in society, including politicians, activists, scientists, and stakeholders, are advocating significant changes to livestock production practices. These changes include modification of stocking densities, limitations on antimicrobial use, and requirements for outdoor "experiences." Such changes may affect animal health, productivity, and food quality. Simultaneously, many consumers are demanding virtually risk-free food at least cost, and they believe that food safety should be addressed on-farm as well as during processing. It is critical that decision makers understand the relationship between animal health and food safety, which is a complex association requiring careful evaluation of many variables. 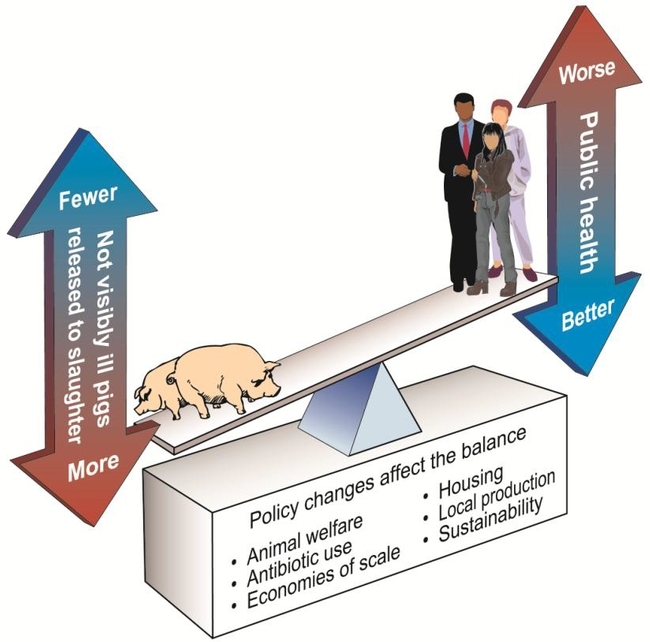 The objectives of this paper are to (1) discuss the quantifiable impact animal health has on public health risk due to foodborne illness from meat, milk, eggs, and poultry; (2) identify the factors that impact animal health; and (3) highlight specific research needs. This paper will focus on direct and indirect impacts that animal health may have on public health." Make sure you select Online/Dowloadable in the drop-down to the right of the page on the link above. "In an update issued late yesterday, the United States Department of Agriculture (USDA) announced additional findings in its ongoing epidemiological investigation into the case of BSE detected earlier this week in central California. The animal in question was 10 years and 7 months old and came from a dairy farm in Tulare County, California. The animal was humanely euthanized after it developed lameness and became recumbent. The animal’s carcass will be destroyed. The cow was tested as part of targeted BSE surveillance at rendering facilities. The USDA is continuing its epidemiological investigation and will provide additional information as it is available. The California Beef Council (CBC) will provide updates to producers as we receive them from the USDA and the National Cattlemen’s Beef Association (NCBA). It is important to reiterate that this animal was never presented for slaughter for human consumption, did not enter food supply channels, and at no time presented any risk to human health." In addition, the UCD School of Vet Med has provided the following links with the latest information and encourages you to use these references to answer questions. The Vet Med site will be updated regularly. If you have questions about UC’s role in the BSE investigation, please contact Lynn Narlesky in the UC Davis School of Veterinary Medicine Office of the Dean, (530) 752-5257, lnarlesky@ucdavis.edu.